Do You Cover To protect Your Cell Phone? I am staying on a farm and I am surrounded by about three Hundred horses! Then you can imagine horses running in the paddocks all the while, what the condition would be as far as the dust is concerned! Luckily we have sandy area. Inspite of this we are getting lot of dust and the eletronic equipment are the first to get affected by this dust . So in order to protect my electronic equipment we need to keep them covered. That is the reason I always keep my phone protected with a cover, I have used platic cover,got my phone laminated, used Rubber cover and the leather ones too! Because of these covers I am able to save my Cell phone from dust! How about you? Do you have a need to protect your cell phone by using a Cover? Please respons! Thanks! I always have a cover or case for my cellphone. After each use, I put it there for safety. Even if it is just laying on my table or inside my bag, I just have its case all the time to prevent any damage or scratch. I don't know, I sometimes feel like I am over protective about my stuff. I also have a screen protector to prevent any scratches. I think we should take care of our gadgets for us to use them in a longer time. I use a cover for my phone regularly. My cell phone gets dropped sometimes. This makes it prone to getting dust into the phone. So, its necessary to use a cover. Especially, its very dusty on the field when i'm exercising at the club. Using a cover saves my visit to the service center. I am far from that kind of dusty country environment but I still cover my phone. It is a flip phone so it sort of protects itself, however it is kept in a neoprene like fabric pouch with a velcro closure. It would not 100% protect against dust but it keeps it out of my pocket where it would get full of lint and keeps any scatches away. My phone is a few years old now but it is in like almost new condition. yes.. recently, i bought a cellphone case for my phone..it's kind of expensive but it's worth it.. cellphone cases help to protect your mobile phone from dust plus it can save your phone from getting serious damage when you drop it accidentally..
Yeah I have to, I really carefull in my things specially when my things are really important to me. When I'm going out somewhere I have my own bag to protect my phone. I have to do that because I don't want any things will make it broke. well, not right now, I have a pretty old cell phone.. When i get an iphone, i'll deffinately protect that! I don't cover my phone because I find that cases are bulky and make it harder to fit in my pocket, then again there really is no danger other than a few little scratches as far as I am concerned here. Fortunately,the air of the place where I live is good enough to let my cell phone naked, so I have no need to protect it by using a cover. I forgot to cover my cellphone. Thanks to plastic silicon, it will protects dirt, dust, and even my cellphone could drop, it will not be damaged. That's a lot of protection! But at least your phone won't get damaged by dust. I have a cover for my phone but it's not that protective. It's kinda like a pouch but it's a perfect fit for my phone. There's no space on the sides or anything. It prevents scratches and is pretty good for me. I think you must cover your phone using crystal covers. It helps to protect your phone from dust. You can buy crystal covers according to your phone model. Or the easiest way. use a hand bag. 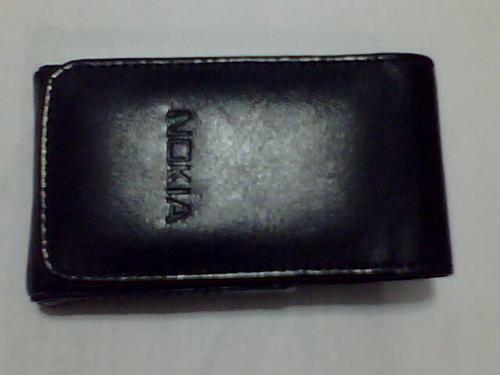 Yes, I do put a cover for my hand phone because I want to protect it from being scratched. I also put it into a cover so that it would be protected when it falls down. Recently I had dropped my hand phone. Fortunately I had its cover on, or else the glass might have broken into pieces. The camera is ruined, but at least all other functions are still operating and I am relieved. I don't have enough money to purchase a new one and as long as my hand phone can be used, I will still use it. I use a leather cover so that it will appear classy. Practically, we don't leave our cellphones around for dust to settle. Am I right? It will be in our pockets, handbags, etc. Its left on the side table or any other place for the night. I feel most comfortable using the cellphone without all the protections. But then opinions differ and I respect yours. I live in the desert and it is VERY dusty but I usually just keep my cell in my handbag. I don't like the covers because most just just end up trapping a lot of the fine sand between the cover and my cell, which gets all scratched. i leave my iphone uncovered.. i like the feel of it better then when its in a case. Even i have lot of dust in my area .So i bought a cover for my previous phone.Now i am having a flip phone.I have no cover on the phone.The screen and keypad are closed all the time.